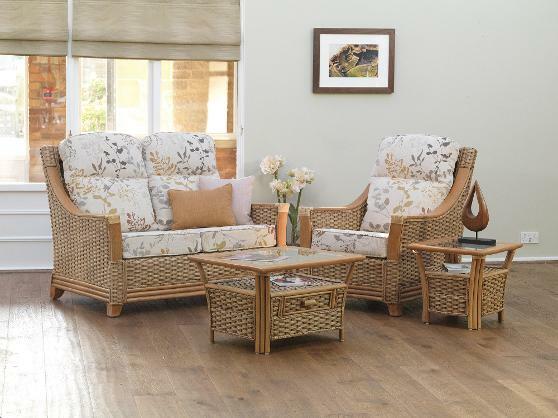 The high backed Brampton range is a welcome addition to any home. Finished in Natural Wash, this classic design incorporates a combination of flat cane arms with leather binding to provide strength and stability as well as an intrinsic hand woven quadruple rattan weave. The chair and sofa can be complimented by a coffee table, with single drawer, and side table. A wide choice of fabrics are available to make this range of furniture perfect for any conservatory or living area. Shown in Natural Wash finish with Woodthorpe, Stone and Gold fabrics.